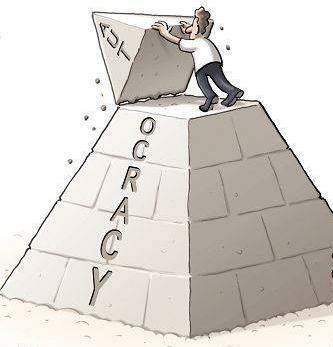 758) Egypt 2.0 ::: DVF > R !! R is the Resistance to change. If any of the 3 factors on the left side of this formula is missing, the whole change process will simply fail because it will be equal to zero and multiplying any of the rest by zero will lead to zero, and the resistance will win. - We was (and still are) dissatisfied with the situation Egypt has been in whether in the day to day life, overall goals, international positioning, corruption, dehumanization...etc. That is the (D). - We have an incomplete Vision about why and how we are changing and where we are heading; hence, we need to work together and have a transparent conversation with the governing body (Army) to reach consensus about that or else we will lose the (V). - We have taken 1 concrete step in the change process (taking out Mubarak), but it is not yet enough for the ignition power needed for change and standing on a solid ground, this needs to be reinforced with the real change in our governing system (Constitution) that will be the threshold for building a different system on the short and long term, or else we will risk losing the (F) as well. - On the other hand, the Resistance is something that we have to take into account big time because the resistance -although it is standing alone on the right side of the equation- is reinforced by many factors like the Shafik's Government, Amn El Dawla,7ezb Watany leaders, and even people who are with the revolution, but don't have the enough pateince and tolerance to ride through this extremely hard and challenging period. 1) Respect the dissatisfaction of some people and try to make them understand the nature of this period, baring in mind that many people seek the welfare of the country even if they have different point of view. 2) Reach a common ground on the Vision of where are we heading at least for the coming period. 3) Focus on the constitution (changes and new one) as it is the most important factor in building a new republic. 4) Push more and more for prosectuing the corruption figures even if in power, take faster actions with having a clean government, and respectful police, and having a Transparent, & continous dialogue with the army to be able to minimize the Resistance. And above all NOT LOSING THE FAITH in ourselves and our ability to make things happen and shape history ... imagine how proud you will be when you can make a real positive change in your country that will affect its development for years and years to come, and stand one day proud that you didnt give up and completed your war for freedom and development till you accomplish your mission no matter how hard it is. The more you drive, the less you are driven. 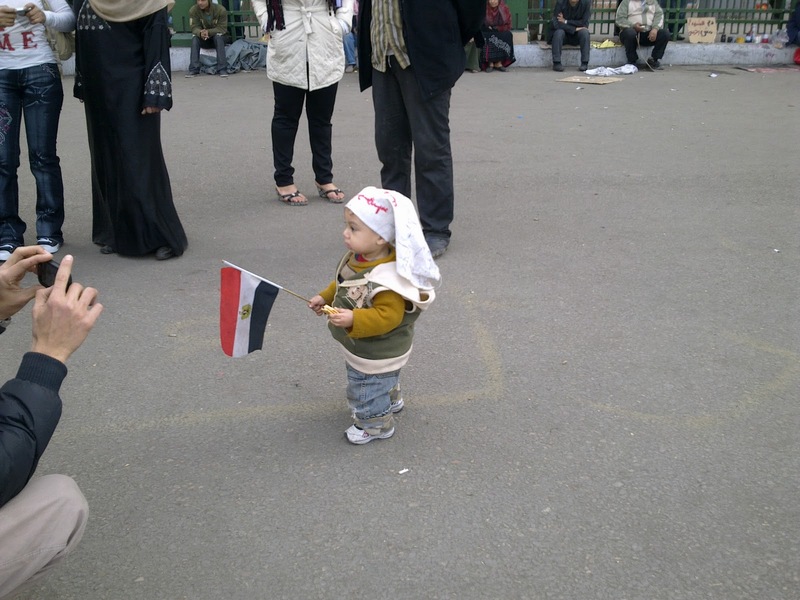 God Bless You, God Bless Egypt..
We don't wanna FINISH our Revolution ... We wanna COMPLETE it. 757) Revolution 2.0 is still uploading ! This Revolution was to get back our country, and although I am optimistic about the end in-shaa-Allah, but I am not feeling good regarding what is happening and what is not happening now..
1. 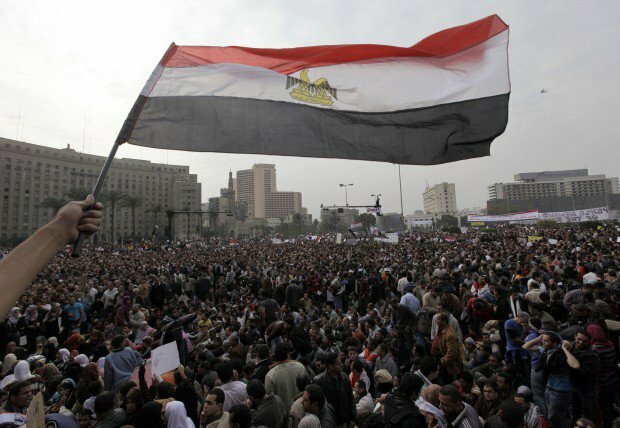 Mubarak's appointed government ( including governors) has to go down, and a transitional independent government has to run the country during the 6 months. By the way Mr.Shafik, it is a Revolution not a Movement as you claim, I hope you can get it. 2. Mubarak's party the NPD has to be frozen till the end of people assembly elections (that has to be after the election of a new president), so that they turn into an opposition party and earn their way up like any other party. By the way Muabark is still officially the president of NDP, and this freezing will cut any kind of offical power for him and its members. 3. The amended constitution has to include the articles tackling the authority of the president and minize it against the legistlative and judicial authorities. It has to be issued as a Temp Constitution that has to be replaced by a permanent constitution before end of 2012 , so that the new president will be obliged to do it. 4. Have Gamal Mubarak on Trial and joining his friend Ahmed Ezz in Jail to stop the fishy stuff that is taking place these days, and start taking serious actions for getting our money back from Muabarak's family and their friends (like Hussien Salem) and assistants (like Safwat El Sherif). 5. Immediate freedom for all those who were detained in Jan 25th revolution (the non-criminals), and change the structure and nature of "Amn El Dawla". 6. Setting a definite date for suspending the State of Emergency, it has to be before the constitutional referendum (i.e before April), and announce the results of investigating what happened on 28/1 and 2/2 so that people can start trusting the Police. 7. Ignoring the desperate trials from some of the old regime tails to split the unity of the Egyptians in one way or another (religious, ideology, money....etc). Otherwise, I dont think this revolution can rest and declare real and complete victory. Time is passing and we need to move on with the development of our country ... 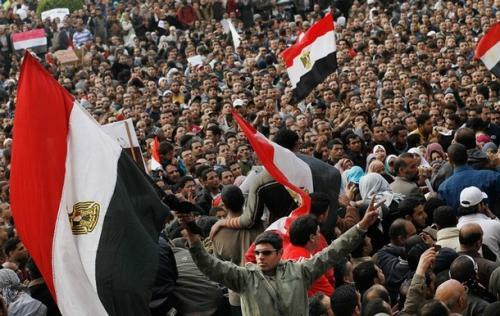 The 21st century cant wait more than that for Egypt to catch. 756) Being Egyptian 2.0 ::: Ignite with Education ! This should be the right slogan because it is the real solution. No matter what we do or say, if we don't fix our education system along with fixing our political one, we will never be able to solve our problems. Education is the root cause of all the problems and challenges we are facing in the Egyptian Society... Fixing Education will take years but will end up with people who have values, commitment, vision, respect, and awarness as well. This will inturn help in having ongoing development in economic, political, and sociocultural systems. 1) Building the Student's personality through practical syllabus that helps him to think, solve, create, and take responsibility of what he decides along with the ability to work in teams to achieve a common goal. 2) Prepare the Teacher to broaden his role to cover horizontal and vertical tasks that help him to contain and develop the students. 3) Provide the right equipment that helps students to be up to date and saves time and effort. 4) Have the right qualified management that runs schools and centres to be able to focus and achieve the value goals. 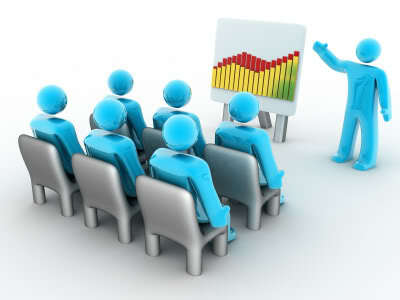 5) Professional Training for graduates and managers to be able to do this transition with the new generations. 6) Training for the parents on how to raise children in the 21st century. Without having the will, the strength, and the patience to do so, Egypt will never develop even if we have a revolution everyday. Educate before it is too late..
755) NOT Being Egyptian 2.0 ::: Apology to Lara Logan ! Although I was planning to start this series with having personal mission that goes along with the country, but this new and ugly incident is obliging me to talk about it now as it is in the core of what I am campaigning for.. Being Egyptian now means that we HAVE to keep the wonderful and civilized image we had during the revolution.. Not having a single of harassment during the whole revolution was a message to the whole world, and would in-turn build trust and will help tourism to boom and inturn the national income... but such acts will ruin all what we are doing, and will take us many steps back.... This is far from Being Egyptian 2.0, and this is not the 25 January guys. Sorry for dedicating this post for this issue, but it is urgent and very important. 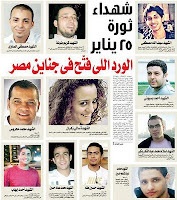 LARA LOGAN ... please accept our sincere apology, and you are welcomed at anytime in Egypt. 754) Happy Egyptine's Day ! Let's celebrate it together today in Tahrir Square..
753) BEING EGYPTIAN 2.0 ! Yesterday 11.02.2011 was the happiest day of my life.... Egypt is finally in the hands of the Egyptian People, Egypt is free, and we were part of making history... One Day I will take my little son or daughter on my lap and tell them how did their father fight through Writing, Lecturing, Protesting for weeks, and even Defending his home and family in the streets...Allah Akbar, thank you God. It was a dream that finally came true through unity, determination, and sincerity. I have always believed in Egypt and have always loved her to the extent that some of my friends have mocked me for having its flag in my room, and national songs in my car, refusing job offers with triple my income in UK and Gulf areas, giving lectures for free, and even my work as VP of Nahdet El Mahrousa. But this mocking just gave more power, and Khaled Sa3eed's death was a turning point... since the day Khaled Sa3eed died, I have decided to speak up and not to be afraid... through the blog, facebook, and even in public...my mother was so worried, and they have tried to hack my account twice, but I have seen people dying for Egypt and it just gave me more and more determination and freed my heart from any fear...and thanks to the admin of Khaled Sa3eed (Wael Ghoneim) who kept inspiring me and others as well to continue, and of course our brothers and sisters in Tunis who gave us the final push and helped us throughout the revolution. I can finally celebrate my birthday now. I have worked in the Internet field for many years, and used to hold almost the same post Ghoneim is holding in Google but for its competitor MSN, and I really liked him calling this revolution REVOLUTION 2.0 as an indication of revolution on everything and system that has been rotten in Egypt... but allow me to say that I think that Revolution 2.0 is almost over, and EGYPT 2.0 has just started... 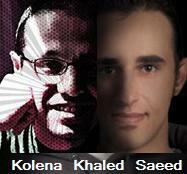 In order to launch Egypt 2.0 a huge work and responsibility is waiting for us. We have just finished dealing with the past, and now we have the challenge of building our won future. I will be mostly dedicating the blog in the coming period for a new series called EGYPT 2.0 about how can we all contribute in building a new Egypt that we can continue to be proud of, and can one day pass it on as a treause to our kids. For now, have some rest for a couple of days, take your time to reflect and realize, and let's start this week to build our country... It is now ours, and it is our responsibility. I will try my best to cover all the aspects of developing this country... I will integrate old articles and new ideas..and I will need your help in discussing them here to inspire each other and keep the beautiful spirit that has inspired the whole world.....We owe it to ourselves, and TO THE BEAUTIFUL PURE MARTYRS who lost their lives defending our case. Please if you are reading this, stand up for 1 minute of silence in respect for their souls. 752) 2alo Magnoon Eli Bey7lam !! 751) Our Duty ... Our Responsibility ! For all the people living in Egypt and reading this blog... this is the time for you to take part in rebuilding what we lost... We went protesting defending our freedom and rights, and we stood in streets defending our properties and families... it is time now to defend our society and economy as well..WHILE KEEPING PROTESTING.. President Mubarak has to go along with the whole regime, OUR REVOLUTION IS NOT OVER YET. let's help those who lost their income, get out our Zakah and 3oshoor now. 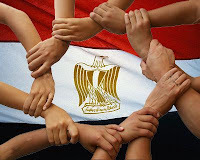 Let's Give EGYPT a chance ... coz it deserves. 750) Egypt :: The Time of Wisdom ! The Ignition of the Revolution needed the power of Youth, but at this stage we need the Wisdom of the elder people without losing the momentum of the youth. In this endless loop of Egyptian regime and protesters action and reaction to see who will surrender, I think the practical way out of this situation is through "Lagnet El 7okama2"- Wise-men Committee (http://www.shabab-masr.com/) who can negotiate with regime and the protesters while keeping protesting and the right of protesting at anytime anywhere in any number, till we reach what we need (MUBARAK DOWN). 1) They should be delegated from the protesters and they can lead the negotiations and do all the changes. 2) Mubarak has to leave now, he should just go and spend the remaining time in Sharm. 3) The committee should divide the transitional period to 2 parts; from Feb to Aug., and from Sept till end of 2012. The first part has to do with the urgent reformations (like 76,77,88 in constitution, canceling emergency law, parliment elections..etc), ending by the presidential elections. The second part is the part where a new constitution needs to be established along with its laws, and the whole new hierahcy and flow of the country, and I think the President elect in 2011 should be leading this part and then call for new elections by end of 2012 (become and Interim President leading the transition) this can be Amr Moussa, Ahmed Zewial...etc. Then have a completely new president then. By the way..these protests are a real revolution...so please let's refer to it as "Thawret El Ghadab - Rage Revolution" as it started, or "Thawret El Shabab - Youth Revolution", and not just a protest. May Allah bless this country. م"مصر تستحق قيادة أفضل تعكس الإمكانات الهائلة لأكثر من ثمانين مليون مصري، وتعكس مكانتها الهائلة في قلوب مئات الملايين من العرب والمسلمين. " 749) Gom3et El Bedaya ! Before you read this article, please note that.I am one of those who have been writing on the blog and facebook for a long time regarding reformation in Egypt. I have been a member in many reformation groups on facebook, and have taken part in some of the last week protests and still see protest as a bargaining power. Plz read post 748. In these very hard days, we need to stop for a minute and think together. This Regime is a lousy one, and proved to be really weak one. Actually the last thing I'd care about is Muabark himself, I do care about OUR FUTURE on the short and long term. I don't even care about who will come as much as HOW he will come. The regime, and us have solid stand, while the majority of the people are in the middle. The one who will be able to take them on his side will eventually win... We need to change our strategy and tactics when we find the regime winning significant number of the masses. - Leading the power of the street, and obliging the regime to do many changes in 1 week that it didn't do in the last 30 years (even it is on the tactical level) which is a great insurance and power point if we found the regime is fooling us. - Ensuring the good relations and support with the Army (the real insurance of what the regime has promised). - Having started a real and public dialogue with the current regime to move into a new phase with much better people and figures (with Ahmed Shafiq & Omar Soliman). - Having a public apology for the first time since Mubarak came to power (today by the PM). - Having Muabark out in September (potentially). - Potential Trials for the traitors and corrupted people. - Potential massive change in the Parliament. - Changing some urgent articles in the constitution. - Gaining National & International Respect and Support. - Last and not least, changing the culture of the Egyptians and awaking all the good traits that were almost gone, and those who tasted it can't allow going back to dirt. - Cancelling the Emergency law (biggest miss so far and should be no.1 in negotiations). - Mubarak resigning from the presidency of NPD (should be no.2 in negotiation, this will kill the NDP). - Cancelling the last elections and calling for a new parliament (should be no.3 in negotiation). - Dropping the whole Constitution and having a new one (can be postponed to be right after the presidential elections as long as there are open reforms with supervised referendums in the current one). - Having Mubarak out now (the constitutional dilemma!). As I said in my last article, this is the time for negotiation, and I was asking to continue the protests while negotiating.. there are MANY people getting into the scene and trying to jump over the revolution...and same thing happening from people inside the regime as well. I think -I may be wrong- but again I THINK we need to change tactics, and go protesting in different places -that don't have to be in Tahrir- while negotiating during the coming days. We need to WIN THIS REVOLUTION. We just have to keep alert and active during the coming days of negotiations, and then go back if nothing happens or if they didn't ensure what will be agreed upon in public. We need either to grow Trust with the new VP & government, or lose it forever. They have to be worried all the time.. we cant just leave him till September, he must know that we can come again on ANY Friday if he is not committed to what they promised. When this revolution started it had many aims, and we need to keep focusing on them and only them. 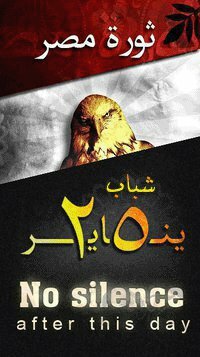 Let's have this as GOM3ET EL BEDAYA (Friday of Starting a new phase in the Egyptian History). Mafeesh Thawra Belta2seet. Again I may be wrong, this is my "Ijtihad"... If we have to continue going to the protests today anyway, PLEASE make sure that everyone in the protest is clean as we did on Tuesday. We can't afford further clashes, we really can't. To all Muslims & Christian guys and girls: please go to the mosques & churches today at noon and let's pray together at the same time for our beloved Country asking God to do the best for the country and its people. May God bless us, and help us to pass these critical days and months. P.S. BTW Wezaret El 2elam lazem tetnesef. 748) To Egypt ... with Love ! I celebrated my birthday this year as I have never did before... 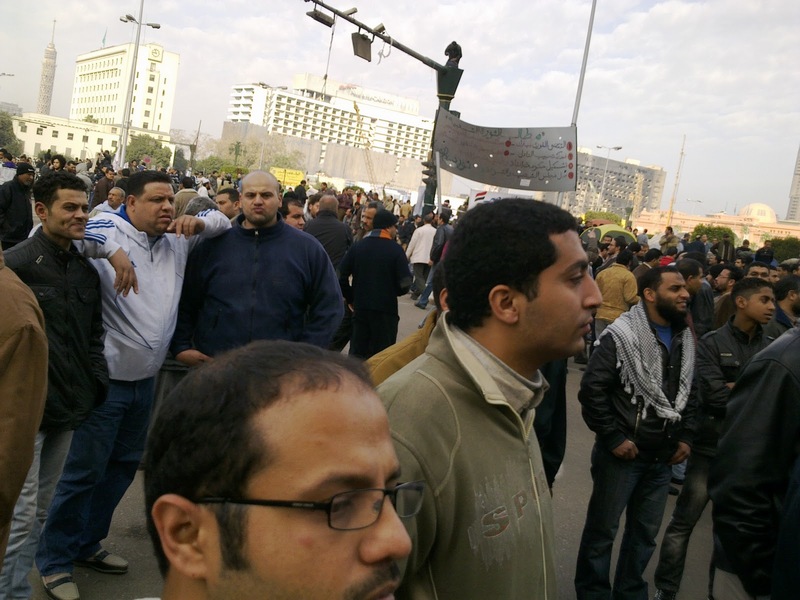 I celebrated it in the streets whether standing defending my home and family or in the protests (of Jan 25, Jan 29, and Feb 1) defending democarcy (picture to the left of me taking part of Feb 1st Million Protesters peaceful Protest). After all the ups and downs that happened this great historical week, I think the people have started to gain a lot on the tactical level, but still way to go on the Strategic level. I mean some serious changes happened (VP, new government, ..etc), but the real deep root change hasn't yet. 1) Having a Supreme Committee of independednt reputable people to put a new demoratic consitution and have a national referundum about it. 2) Calling for new Elections (supervised by the Judges and watched by the national and international entities) for the Parilment, and the winning party/ies form the real government of the people and for the people. 3) Cancelling the Emergency Law effective Immediately, along with a public trail for those who betrayed the country. 4) Resigning from the presidency of the National Democratic Party (there wont be a party if he resigned, I assure you). 5) Passing the day to day work and public communication and real power to the Vice-President and not appearing again till the end of the presidential period. These stuff are STRATEGIC and guides us where to head durin the coming months and even years, regardless of who is governing us. It is about HOW and not WHO. The best outcome of what happened is that it showed us the we are good and still alive. I was there and part of what happened... I have been there for the last 4 years over the internet, but it feels so different when I am part of the events myself (see the youngest protester to the right). This is the time to start negotiation in parallel with keeping peacful protests. The negotations should include all needs, and its results should be announced by the army as an insurance. The problem is who will negotiate, and they will play on this point, and this may lead to clashes between pro and anti-regime protests that requires the interference of the police under the name of keeping the safety of them both.. If they dont negoiate soon in one way or another, then people have no choice other than continuing massive street protests with all its consequences. I was optimistic till yesterday, now I can't say I am still optimistic...There is something wrong in the equation, and it will end up with unpredictable results. 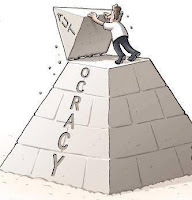 Democracy has a price and we have already paid a big chunck of it.